The main purpose of this Disney World trip was to check out the Mickey's Halloween Party before our Disney cruise. Mik did not want us to ever go to the Food & Wine Festival before he was 21, especially since it is only one more year. However, since we ended up at Disney World when it was going on this year and it was not specifically for the festival, he decided it was still worth going to for the food. 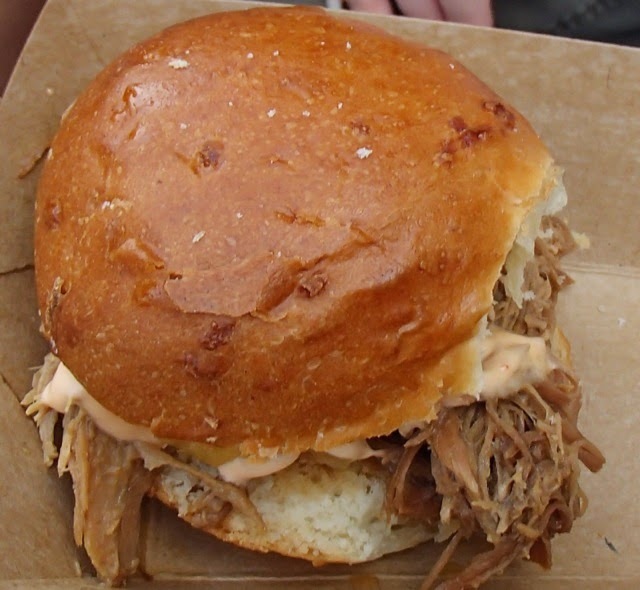 He started at the Hawaii marketplace with a Kālua pork slider with sweet and sour Dole® Pineapple chutney and spicy mayonnaise. He enjoyed the pork, but didn't really like the sauce. 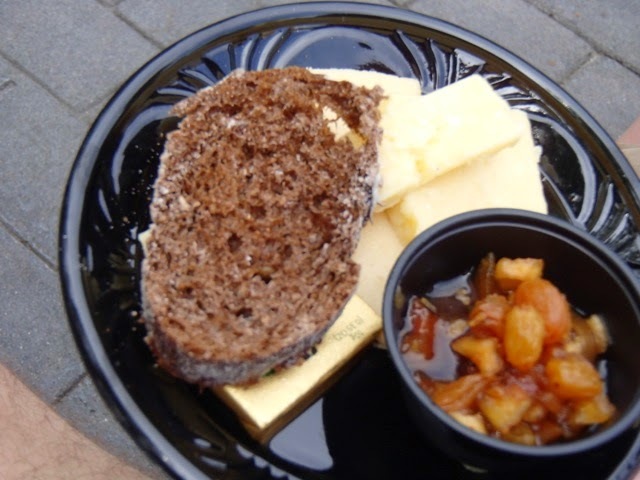 Next we shared the Kerrygold cheese selection (Reserve cheddar, Dubliner with Irish Stout and Skellig) from the Ireland marketplace. 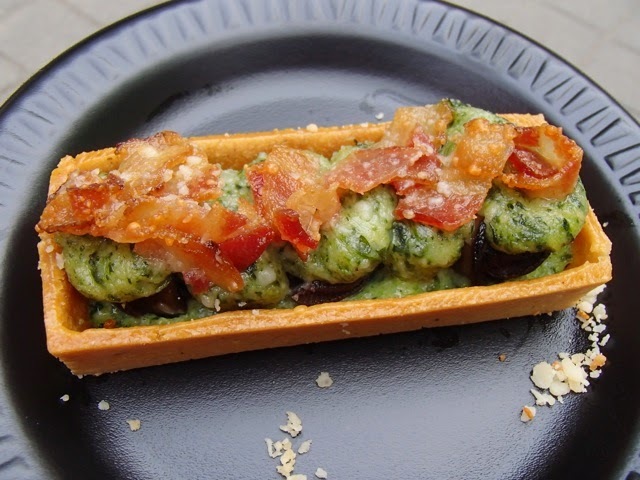 He was excited to try escargot with the Escargot tart with garlic, spinach, bacon and parmesan at the France marketplace; but he ended up not liking it at all because of the spinach. 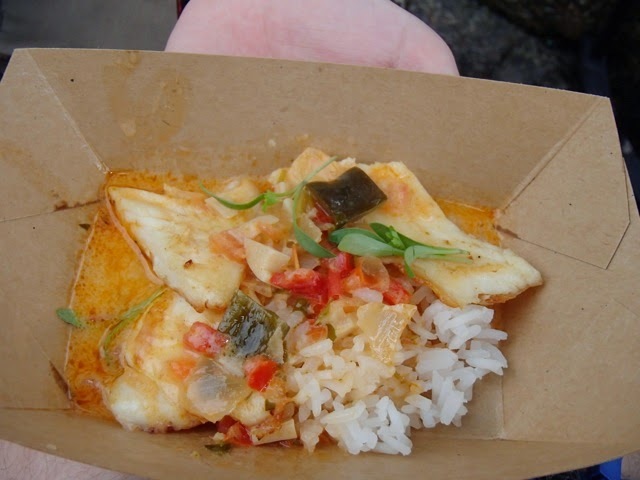 Dad and I shared the Regal Springs premium tilapia with coconut lime sauce and steamed rice from the Brazil marketplace. 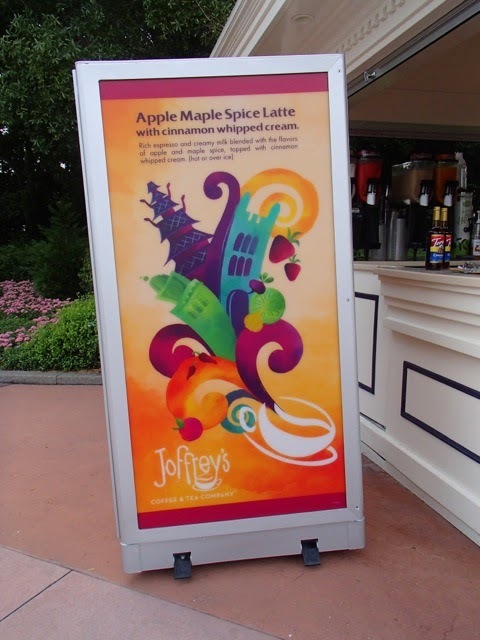 I got the Apple Maple Spice Latte iced in the American Adventure area. Mik tried it and thought it was pretty good considering he doesn't like coffee drinks. Mik found nothing that really stood out as great of what he tried today. 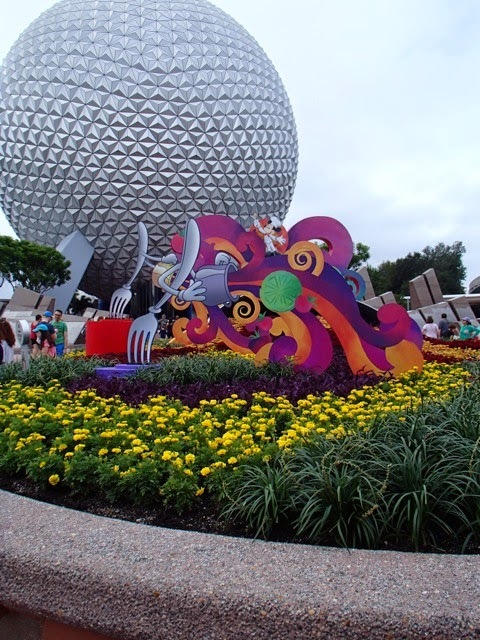 Thus, his favorite thing about the festival was visiting the miniature Romantic Road, which we almost missed, but went back to when he pointed out we missed his favorite thing to see at Epcot. 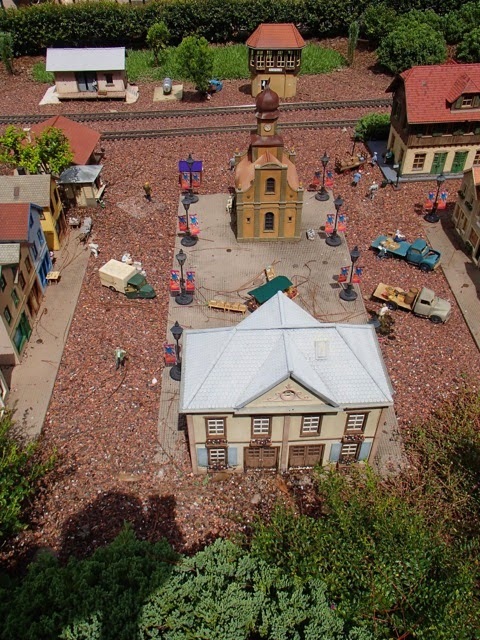 He loves miniatures and it is also fun to see how they change it up depending on the time of year, such as the square currently having Food & Wine Festival banners.